PreviousRomford Mazda Toy Collection for Kids at Queen’s Hospital. 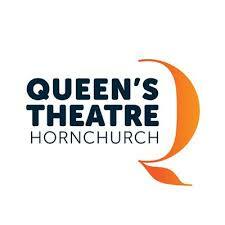 It is panto season and the Queens theatre, Hornchurch have once more a spectacular production showing. A traditional tale brought to life with smash hits such as Reach for the Stars and This is me from the Greatest Showman. The children’s classic tells the story of Jack who is forced to sell the family cow but returns with magic beans. The stage came to life once the beans transformed in to a tall beanstalk. Once the giant appeared on the stage. I was amazed by how enormous he was. It was clear so much thought had gone into planning the production to bring it to the highest standards. The music selected complimented the show. The show is full of family fun jokes mostly told by John Barr who was the Dame Dotty Trott who kept the audience laughing away. The production featured 30 school children from Team candyfloss who supported with vocals and dancing. The audience interaction and participation, was impressive. I could see adults and children were captivated by the show. This was a magical production with some surprises along the way with many pop tunes to get you singing along to.